Travel via NYC Ferry to see “The Jungle” Performing at St. Ann’s Warehouse. Take NYC Ferry’s East River or South Brooklyn route to Dumbo Brooklyn Bridge, Pier 1 to meet the hopeful, resilient residents of The Jungle. The short-lived, self-governing society that emerged within a sprawling refugee camp in Calais, France. Take a seat in an Afghan Café, where men, women, and children fleeing war and persecution created a world offering warm hospitality amidst squalor and danger. 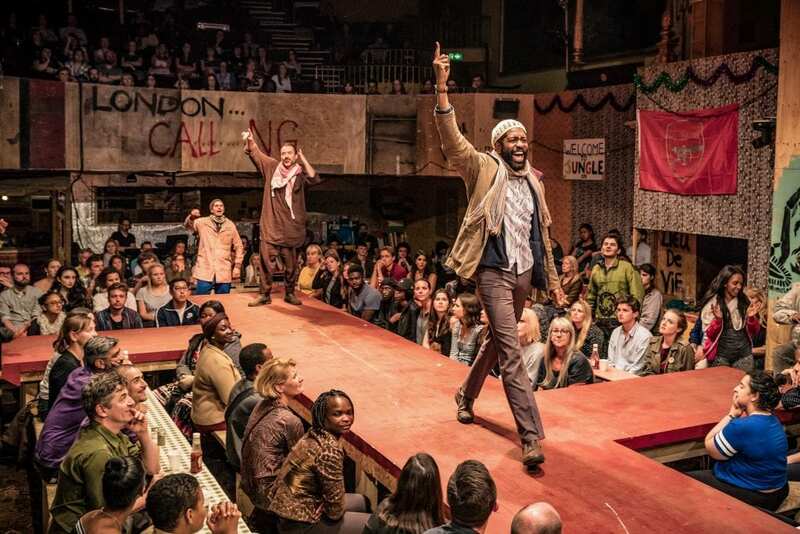 After taking London by storm, The Jungle transforms St. Ann’s Warehouse into this “devastating, uplifting show” (The Guardian) about “a story we need to hear” (Time Out London). This is recommended for ages 12+. This production contains smoke effects, flashing lights, herbal cigarette smoking, flour, strong language, loud noises, and gunshot sounds.